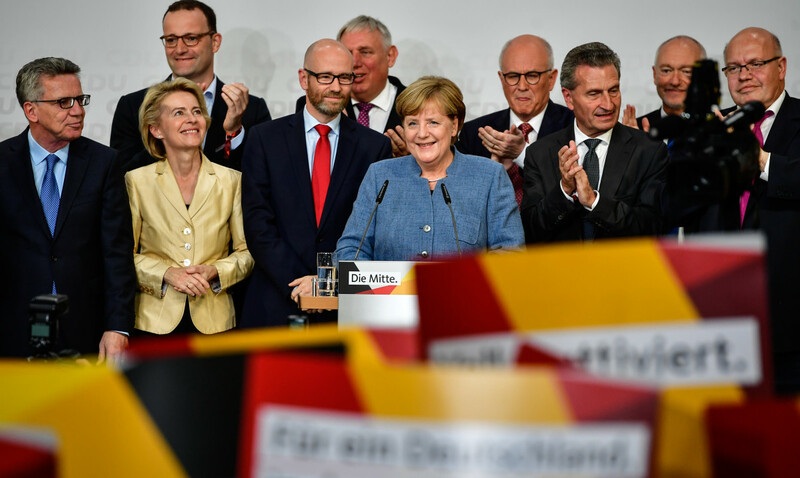 German Chancellor and Christian Democrat (CDU) Angela Merkel (C) reacts to initial results that gave the party 32.9 percent of the vote, giving it a first place finish, in German federal elections on September 24th, 2017, in Berlin, Germany. 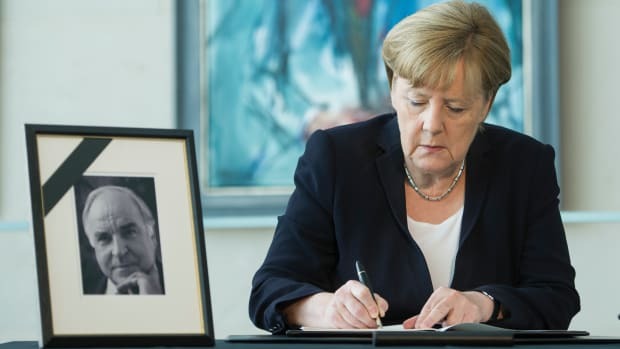 German Chancellor Angela Merkel writes in a condolences book for former chancellor Helmut Kohl on June 18th, 2017, in Berlin, Germany. 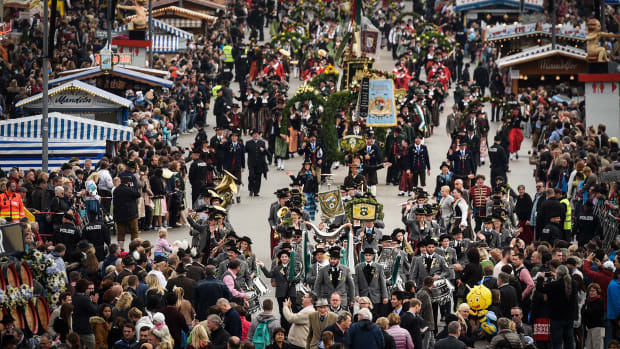 Sebastian Kurzm Austrian foreign minister and leader of the conservative Austrian People's Party, speaks to supporters after Austrian parliamentary elections on October 15th, 2017. 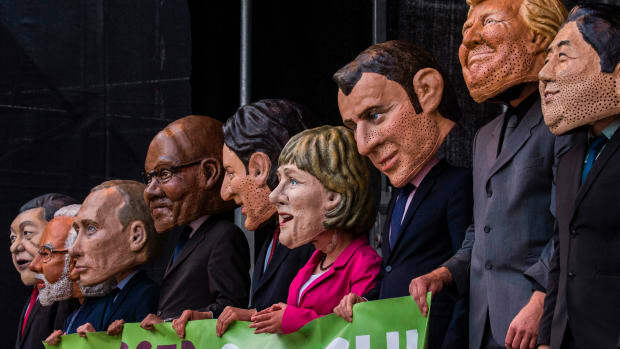 Performers wearing masks of world leaders hold a placard reading: "Better Off Equal! 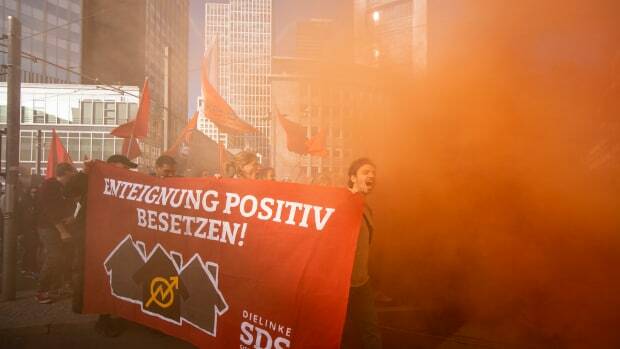 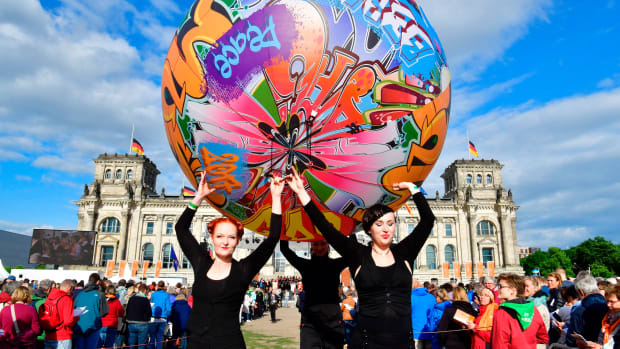 Close the Gap Between Rich and Poor" during a demonstration called by several non-governmental organizations ahead of the G20 summit in Hamburg on July 2nd, 2017.